Dr Michele Rusk is an experienced senior academic, public sector adviser and management consultant. A Fellow of the Chartered Institute of Marketing, Fellow of the Higher Education Academy and member of the Design Management Institute she holds a primary degree in Design and an MBA. Her expertise is in entrepreneurial leadership, strategic design, development and innovation management and marketing communications. She is the author of the Design Dynamics Theory, her PhD focused on entrepreneurial leadership and the role of design in socio-economic innovation. Her experience spans new product and international market development; government strategy and policy development; and international development work in Poland, Russia, Armenia and the Ukraine. 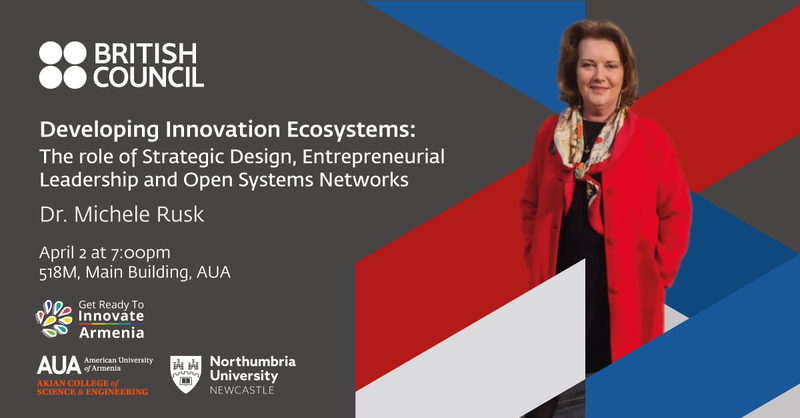 Dr. Rusk is Associate Professor of Innovation and Entrepreneurial Leadership at Newcastle Business School where she is Director of Enterprise and Engagement in the Department of Entrepreneurship, Innovation and Strategy and the leader of the Strategic Entrepreneurial Leadership (SEL) research group.